The Harrisburg Neighborhood residents who live near Hillside Park, located at 2101 Telfair Street near Hickman Road and Tubman Road, working through the Harrisburg Community Council and Harrisburg-West End Neighborhood Association, have advocated for quality of life enhancements to their beloved neighborhood park, and are seeking to spark positive community change through art. 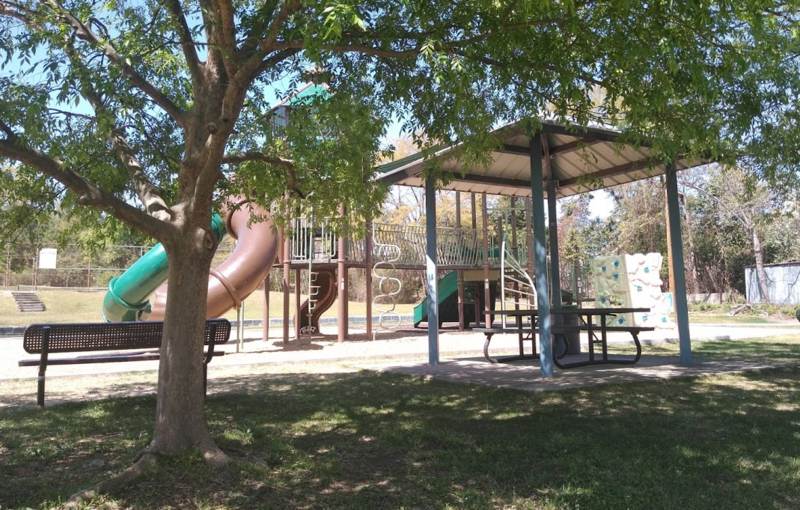 In December 2018, the Recreation & Parks Department installed new playground equipment at Hillside Park. The Park also has tennis courts that are scheduled for resurfacing, and a few benches. In 2019, Recreation & Parks will install a drinking fountain in Hillside Park. Recreation & Parks is seeking ways to make the park even more of a multi-generational community asset. To beautify Hillside Park and celebrate the new drinking fountain and park improvements, the Greater Augusta Arts Council will commission an artist to create an engaging and whimsical attraction, which will uplift Hillside Park and the neighborhood surrounding it. This creative element will activate this public space and increase livability by providing innovative design accessible to all ages and abilities. The commissioned artist may use any easily maintainable materials, including but not limited to concrete, paint, ceramic tile, and welded metal. The commissioned artist’s work must not hinder or compromise the functional use of the park and its amenities, its safety and structural integrity, or its ADA accessibility. All designs will be considered, but artists should keep in mind that the park is used by a wide range of ages, from small children to the elderly, as well as by dogs. The best design will keep in consideration the playful nature of the space around it, and the safety of those who use it, and potentially outline a plan to engage with the multi-generational residents who use the park in the final design and/or execution of the artwork. This project is made possible by a grant from the Junior League of Augusta Georgia, and by funds from the Greater Augusta Arts Council. The document at the link below contains everything you need to know to apply for the April 2019 Hillside Park Call for Art.